The Department of Social and Behavioral Sciences prepares students for critical thinking and purposeful vocation in the global economy. Students complete internships and field experiences at companies such as the City of Newberry, Newberry County Public Defender's Office, Lexington County Family Court, and many more. The study of Criminal Justice encompasses a broad array of disciplines ranging from psychology, sociology, science, law and human services. If you have a strong desire to help people and serve the public, have a high standard of ethics and excellent interpersonal communications skills, Criminal Justice may be the right major for you. 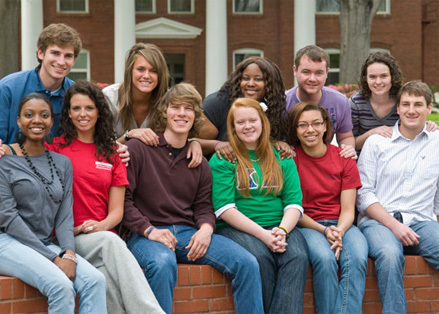 The Criminal Justice major at Newberry College is grounded in the liberal arts. It shares foundational courses with the social sciences to help you become a well-rounded professional equipped to interact with the ethnically, culturally and socioeconomically diverse populations you will encounter on the job. Criminal Justice majors will conduct independent research and present their findings at various regional conferences, such as the Carolina Undergraduate Social Science Symposium. Students participate in the research paper and poster presentation competitions with other students from more than a dozen colleges and universities throughout the state. 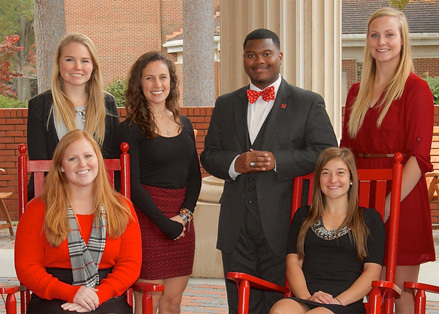 Newberry College students consistently bring home awards from such competitions. Criminal Justice majors will complete an internship as part of their program. The internship experience allows you to explore career options in your chosen area of specialization and can open up career opportunities after graduation. During your internship, you will work under the supervision of an experienced professional, network with professionals in your field and increase your knowledge of and exposure to your area of interest. In a highly competitive marketplace, this type of relevant, hands-on experience gives you an advantage in your job search after graduation. Criminal Justice majors are required to complete a total of 54 credit hours (27 hours in Criminal Justice, including internship approved by program chair, 27 hours in Social Sciences); at least 6 credit hours of a single foreign language. Criminal Justice minors are required to complete 18 credit hours distributed among required and elective courses within the major, and internship approved by program chair. Political Science is the study of political institutions and policies, political philosophies and theories, public policy and political research methodology. Students in this major often aspire to careers in the law, public affairs or political office. Political Science professors are committed to preparing you for a successful career and meaningful life beyond your studies at Newberry College. We will help you to cultivate the knowledge, intellectual and social skills, and moral discernment to realize your personal and professional goals. The classroom is your point of departure to entering the fascinating world of politics and law. In studying these subjects, we encourage you to apply your knowledge through participation in Mock Trial, South Carolina Student Legislature, as well as political and legal internships. Psychology is the scientific study of human behavior and mental processes. Psychological knowledge can be applied to many issues of everyday life. Examples include communication and teamwork as well as mental functions such as thinking and language, and physiological processes such as development and aging. The Psychology major provides a solid foundation in psychological principles and scientific inquiry, and prepares students for a wide variety of careers and/or for graduate school. Psychology majors are well prepared for a number of careers with a baccalaureate degree. Skills common to Psychology majors that employers value are critical thinking, written and oral communication, the ability to analyze and interpret data, and the ability to work well with others. The Psychology major provides broad applications to careers in business, industry, management, the ministry, human resources, rehabilitation, teaching, and other fields. It also offers a useful foundation for a variety of graduate school career paths. For those graduates who seek careers as practicing psychologists, graduate and professional schools of psychology offer preparation for professional counselors and licensed psychologists as well as for careers in teaching and research. Our graduates have earned graduate degrees in child therapy, marriage and family counseling, and career counseling. Other graduates have pursued professional and graduate degrees in school psychology, juvenile justice, social services, speech therapy, business, and the ministry. Students majoring in Psychology must complete PSY 120, 220, 230, 231, 236, 300, 370, 400, and 402 (24 hours); PSY 350 or 360 (3 hours); 9 additional hours in Psychology depending on the student’s interests; Social Sciences 230 (3 hours); and 6 hours or the equivalent proficiency of a foreign language for a total of 39–45 hours. Students majoring in Psychology with an Experimental Psychology Concentration must complete PSY 120, 220, 230, 231, 236, 300, 325, 350, 360, 370, 400, and 402 (33 hours); PSY 493 and 494 (6 hours); 6 additional hours in Psychology depending on the student’s interests; Social Sciences 230 (3 hours); and 6 hours or the equivalent proficiency of a foreign language for a total of 48–54 hours. Students majoring in Psychology with the Forensic Psychology Concentration must complete PSY 120, 220, 230, 231, 236, 300, 312, 325, 360, 370, 400, and 402 (33 hours); a combination of PSY 491, 492, or PSY 495, 496, or Independent Study & Internship hours (6 hours); SOC 102, SOC 246, POS 121, POS 343, and FSC 211 (15 hours); Social Sciences 230 (3 hours); and 6 hours or the equivalent proficiency of a foreign language for a total of 57–63 hours. Sociology is the study of human interactions in groups and societies. Are you interested in researching people’s behaviors and opinions? Are you concerned about social issues such as inequality, poverty, the environment, population changes and justice? 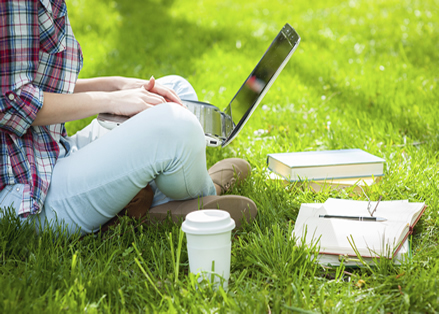 You can explore these issues with a major in sociology. Sociology majors are encouraged to complete one or more internships with organizations that will provide relevant experiences, such as Juvenile Justice, Department of Social Services, Council on Aging, Law Enforcement agencies and local schools. Sociology majors are required to complete 36 hours in Sociology and 3 hours in Social Sciences 230. The 36 hours must include SOC 101, SOC 208, SOC 301, SOC 302, SOC 403 and 7 additional courses in Sociology, two of which must be 300-400 level courses. Sociology majors also are required to complete 6 hours of foreign language studies. To earn a Sociology minor, students must complete a total of 18 hours in Sociology including: SOC101, SOC 208 and 4 additional courses in Sociology. To earn a Social Work minor, students must complete a total of 21 hours in Social & Behavioral Sciencese courses, including six (18 hours) required courses and one (3 hours) elective. A research course (SOC 302 or PSY 402) is strongly recommended. Two of the required courses for the minor (PSY 120 and SOC 101) fulfill Core requirements.